Pizzeria Mercato, fully licensed patio, great pizza, take-out, and dine-in with Invermere’s favourite pizzeria! Come by and see what makes Pizza Mercato special. The Columbia Valley’s own Pizzeria Mercato specializes in delicious pizza, pasta, hot Italian sandwiches and salads. For dessert try their tiramisu, chocolate cake or foothills creamery ice cream. They have something for everyone! Gluten free crusts, lactose free (Daiya) cheese, and vegan options are available, featuring eat-in, take-out and a licensed patio. 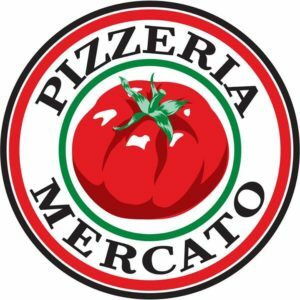 Bring the entire family to Pizzeria Mercato (460 Sarah Road, Invermere BC, next to the Invermere Liquor Store and Canadian Tire!) for delicious pizza & awesome ice-cream! Dessert pairing with Chill Out Ice Cream & Frozen Yogurt! Chill Out Ice Cream, proudly serving Foothills Creamery Ice Cream! Chill Out Ice Cream in Invermere, BC serves a huge selection of Foothills Creamery ice cream – with flavours to satisfy every tastebud. Enjoy hard and soft ice cream cones, signature milkshakes, and “Sloppy Doughs” – your choice of ice cream sandwiched between two homemade chocolate chip cookies. The perfect pairing with Pizzeria Mercato!